Have you ever read an interview with someone you didn't know, or seen them on a t.v. show like, I don't know, Ellen, and thought to yourself "If we ever met in person, we'd definitely be friends"? I know it's kind of far-fetched, but we've all done it, if we're being honest. My little sister, Theo, says that, should she ever encounter Adele one day in a coffee shop in London, they'd be instant buddies. I think Tina Fey and I would get along swimmingly. Or Carrie Brownstein. We'd be tight. The first time I ever came across Amanda Soule's immensely popular blog Soulemama, I felt the same way. "Oh, now's HERE'S my kind of lady! ", I thought to myself. The more I kept up with her writings, I knew I'd found a kindred spirit. We love the same sort of things, similarly place deep value on moving slowly through life, are the same age, and both have husbands 9 years older than ourselves (hell, our husbands even look like bearded brothers!). When I reached out to her about sending review copies of my books, and then began a one-on-one correspondence with her, I knew we were some sort of distant kin. She's a good one, this mama to 5. She's a keeper. She's true blue. No doubt about it. I can barely contain my enthusiasm, then, in sharing with you today Amanda's newest endeavor. Taproot has officially launched. A quarterly, independent, ad-free magazine, this publication is a collection of curated stories, projects, recipes, and ideas dedicated to "living fully and digging deeper." Amanda contacted me months ago about the possibility of contributing to Taproot. "ABSOLUTELY" was my immediate thought. I've got a column in the magazine dedicated to exploring some seasonal edible and then rendering it into something delectable. The recipes are intended to both please the palates of adults while being easy enough to be created by children (with supervision, for some of them). I've seen the pages of the inaugural issue. Let me tell you, you are in for a very, very big treat. 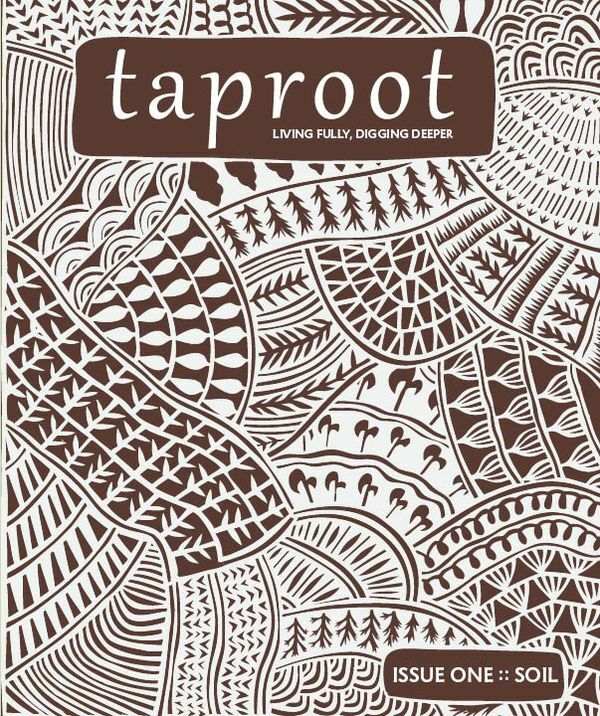 Hop on over to Amanda's blog to read more about Taproot. And check out the website here. She and her fellow contributors have done an amazing job with a much needed, visibly missing magazine. Kudos to you, Soule sister. This is so exciting. I often think about starting some sort of small publication about the things that really matter (or contributing to one). 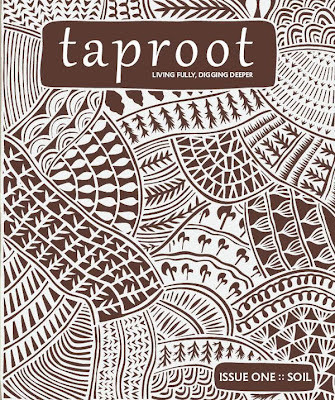 I am really looking forward to seeing reading taproot and just subscribed! Ah! So gorgeous. What a wonderful idea. just read about this over on Soulemama and came over to congratulate you (on the magazine, and delicious sounding new book!). I subscribed and cannot wait to get the first copy in my hands~ hooray!